To make a clinic appointment, please call: (206) 520-5000 or Toll Free (877) 520-5000. Please contact your doctor for specific questions concerning your condition. 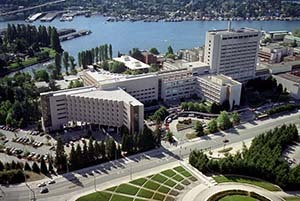 If you would like to contact the University of Washington Orthopaedics & Sports Medicine faculty, they see patients at several clinics in the Seattle area. For more information, call one of the numbers below. Patients need to address all clinical issues to one of the clinics listed below. To make a clinic appointment, please call 206-520-5000 or Toll Free 877-520-5000. Please do NOT send messages to email addresses below with questions for your doctor or your clinic. Patients need to address all clinical issues to one of the clinics listed above in "Clinic Appointments". Box 356500, 1959 NE Pacific St. Thank you for considering to donate to Orthopaedics & Sports Medicine. The money donated will go toward forwarding Research and Education within the department. Please note: If you have an urgent request--especially if it's about your medical condition--contact your doctor or follow the clinic links above to set up an appointment with our physicians. If you would like to make an appointment for an office visit, please call (877)520-5000. Please do not use this form to communicate specific healthcare or financial information. Thank you.